Lois Marie (Taff) Booth, 75, of Liberty, MO, passed away Thursday, November 1, 2018 at Ashton Court in Liberty, following a long illness with Alzheimer's. Marie was born September 30, 1943, in Princeton, MO, the daughter of Alfred Clair and Ola (Bain) Taff. She grew up in and attended school in Cainsville, MO. On February 23, 1963 she was united in a 55-year marriage to Larry Booth, and to this union three children were born: Michael, Scott and Pamela. 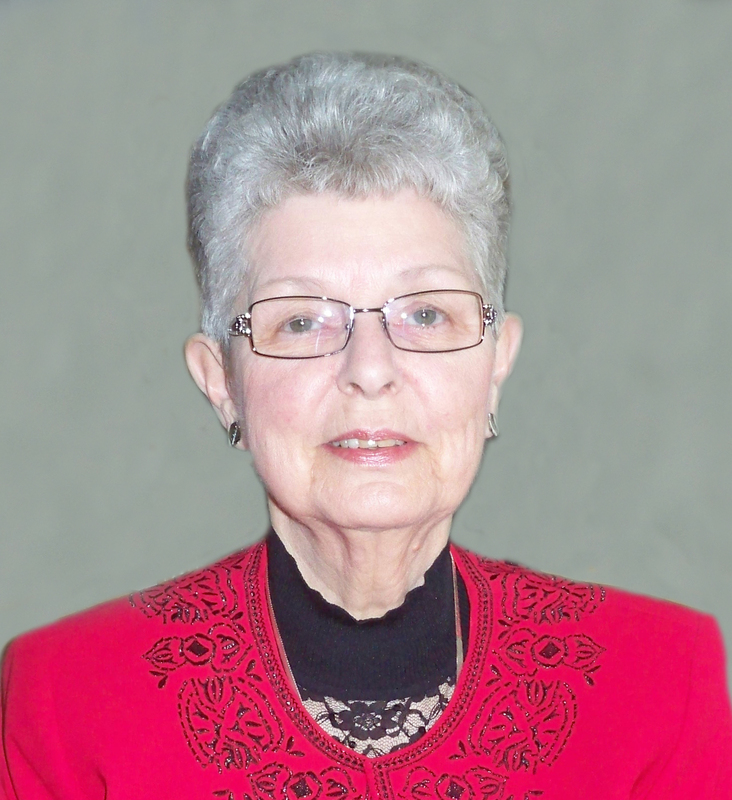 Marie was a member of Liberty United Methodist Church. She was employed by New England Life Insurance, Barickman Advertising and Ferrellgas before her retirement in 2006. Marie loved her family, traveling and playing cards. Along with her parents, Marie was preceded in death by a brother, James Walter Taff. Survivors include her husband, Larry; sons, Michael Booth (Lisa) and Scott Booth; daughter, Pamela Novak (Mike); and grandchildren, Ashley, Christopher, Kevin, Jared and Parker. Visitation will begin at 10:00 am, followed by a service celebrating Marie's life at 11:00 am, on Monday, November 5, at Liberty United Methodist Church, 1001 Sunset, Liberty, MO. Burial will follow in Glenridge Cemetery. In lieu of flowers, memorials are suggested to Liberty United Methodist Church or to the Alzheimer's Association. Arrangements: Park Lawn Northland Chapel (816) 781-8228. Visitation will begin at 10:00 am, followed by a service celebrating Marie’s life at 11:00 am, on Monday, November 5, at Liberty United Methodist Church, 1001 Sunset, Liberty, MO. Burial will follow in Glenridge Cemetery. In lieu of flowers, memorials are suggested to Liberty United Methodist Church or to the Alzheimer’s Association. Arrangements: Park Lawn Northland Chapel (816) 781-8228. My thoughts and prayers are with you all. I worked with Marie at Ferrellgas, she was always a smiling face that I loved to run into in the halls. God Bless you all. Our prayers are with you, Larry, Scott, Mike and Pam, as you say goodbye to your wife and mom. Lean on each other and those who love you. Cherish those memories of the past and cling to the promise you will see her again. My deepest condolences for your entire family. May your memories of her be a comfort to you all during this difficult time.